Home renovation projects, whether you go the DIY route or hire contractors to handle the work, are serious undertakings. Although the end result will be awesome, the journey can be pretty rough if you skip key steps or go into the overhaul with unrealistic expectations. An “impromptu” project started on a weekend whim is unlikely to go as easily as expected. However, if you step back for a moment and really focus on the planning stage, you can mitigate some of the inherent risks associated with renovation work. If in doubt where to begin, contact a local real estate professional for pointers! 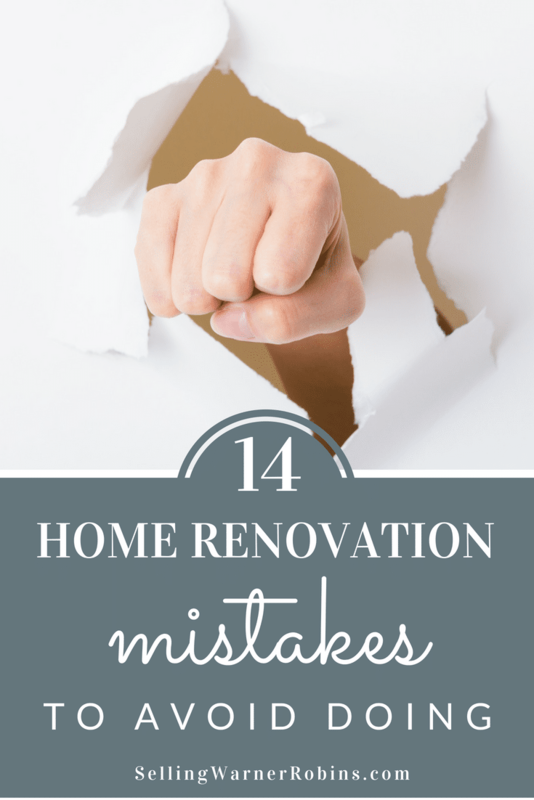 Here is a collection of common home renovation mistakes homeowners face during remodeling projects and how thorough planning can help you avoid them. We all want to see our amazing redesign plans come to fruition as quickly as possible. But construction projects are infamous for taking more time than expected, often due to unforeseen obstacles. There are so many factors at play in renovation projects such as getting materials, work time, weather considerations, etc. that something is bound to take longer than you anticipated. Be sure to build extra time into your project schedule so you will not get stressed if things do not go exactly as planned. If things do go south you need to have a fall-back plan to help minimize delays and get your project back on track. This may include changes to your original plan or skipping an upgrade altogether if need be. There is no better application of the phrase “You get what you pay for” than a renovation project. If you choose inexpensive materials, you are more likely to run into problems such as wood warping, rough saw cuts, products that are inefficient energy-wise and a shoddy look to your finished project. Although it may seem a splurge at the time, you should always go with the highest quality materials you can afford. The small additional expense will be worth it in the long run. On a related note, be sure to buy extra materials, especially flooring, to allow for damaged items, incorrect cuts, or future repair work. A good rule of thumb is to add 10-15% contingencies due to waste. Everyone wants to save money, but if it means cutting corners during a home remodeling project, it is a bad idea. Not only will the end result fall short of what you envisioned, doing work on the cheap can actually result in damage to your home. Take the time to price out materials, appliances, fixtures and flooring before you make your budget so you have a realistic idea about what the bottom line will be. Do not forget to add 20 percent for unforeseen contingencies. Knowing you have some wiggle room will lower your stress level and make it easier if/when you have to make unexpected decisions. Also, as long as you stay within your budget boundaries, you may find out you have extra funds at the end of the project for decor or an additional upgrade. No matter how simple your home improvement plan is, from a one-day painting job to a bathroom addition, there is prep work to be done. Take the time to tape off areas before painting. Use drop cloths to protect your furniture. Set up a makeshift food area before you start the kitchen demolition. Bring new flooring into the house to acclimate before you plan to lay it. Doing the prep work beforehand will save you many headaches farther down the road and not only help keep you on budget but also on schedule too. A little time spent upfront on both the minor and major details can reap rewards throughout the project and keep your nerves from getting frayed. Bad measurements lead to additional costs. There will likely be many important measurements you take during your renovation project, but none is more important than kitchen cabinets. If you are getting custom cabinets made, one wrong measurement can double your costs. Some contractors take the old adage about measuring a step farther by advising “Measure twice, cut once.” Hiring a professional to measure will cost a little up front but can help with additional cost down the road. When it comes to kitchens, it is better to choose your appliances first, then arrange everything else around them. Every important project needs to start with a plan. You must do your homework to make sure you understand and have considered every part of the work. Find out what pertinent building codes you need to follow. Take the time and pay the money to get permits. Seek the advice of professionals. 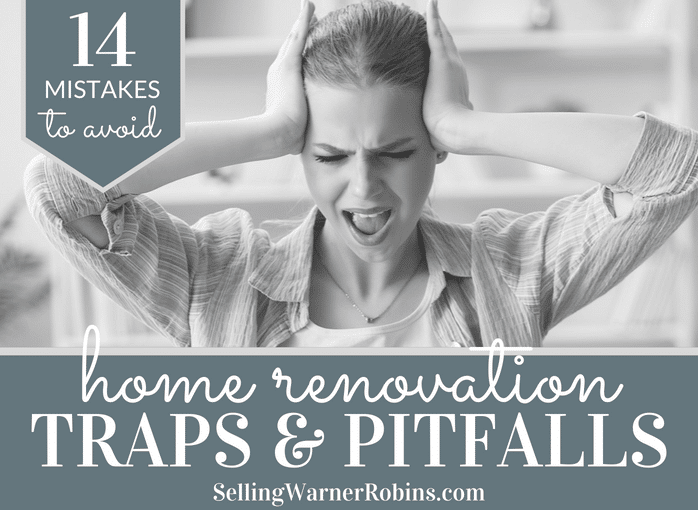 Do not just start gutting a room unless you have everything lined up to put it back together. Avoid starting something that seems like a small job, such as removing wallpaper, if you do not have time to address it if it becomes a huge job. If you know you are good at starting projects but not always prompt about finishing them, it might be a prudent move to hire a contractor for the job. No one likes living in chaos, but it is expected in a work zone. If you plan to stay in your home while the renovation is happening, you will have to be mentally prepared to deal with a mess. It will be loud, you will have workmen invading your space, and there is the possibility your home will get very dirty. Cover adjacent rooms with drop cloths, stock up your remaining functional bathroom and embrace your slapdash “kitchen” space and try not to get to anxious about the chaos. Remember, the inconveniences are only temporary and your new and improved renovation will make the distractions worthwhile. Too often, homeowners are inspired by a magazine picture or home improvement show on television and want to bring a trendy look into their homes. But trends come and go, so it is a much better choice to select timeless designs instead. After all, you may be living with your decision for decades, or you may want to sell your house down the road. Trendy choices could hurt your resale value if they look dated or do not match the style of your home. That said, there are some places where it is OK to have some trendy fun, such as the kitchen backsplash. It is a safe move to only go trendy on things that are simple to change out in the future. Nothing will chew through your costly materials faster than using the wrong tools for the job. To avoid cost over-runs, you need to ensure the right tools are available as necessary. For instance, trying to cut baseboard molding without a miter saw likely will mean incorrect cuts that will render large pieces of wood useless. You cannot use a regular dry saw to cut ceramic tile or you will break the tiles. There are many rental companies that can supply the proper tools you need at an inexpensive hourly rate. If hiring a contractor, ensure they bring the right tools for the task at hand. Use the correct tools and the project will go much smoother! You want your home renovation to make sense from a sustainability and energy efficiency standpoint. Choose eco-friendly materials where you can, and be sure to select efficient appliance if you plan to replace any. The cost may be more initially, but so-called green products will stand the test of time and save you money. Depending on your project, it is typically a smart move to add storage or convenience features if possible. For example, in a kitchen renovation, you may have a corner where a lazy susan could be added, a large drawer that could be subdivided for addition storage, or a nook or corner could be put to good use with a slide-out drawer. Make use of that weird space under that stairs for a closet or bookshelf. Even utility closets can be value rich with shelving or storage bins to keep items in. Adding storage options is typically a good idea and will make your life easier and could even slightly boost your home’s resale value. We often think of our own safety last when working on home improvement projects but it should be the first thing we consider. All it takes is one slip-up to derail your whole plan. You cannot paint a ceiling if you are on crutches after falling off a ladder nor can you finish a project if you seriously hurt yourself by improperly using tools (such as saws). Be sure to wear safety glasses when needed, wear a harness if you are working on the roof, and hire a home contractor or electrician to deal with electrical wiring. Hiring a professional installer can help to ensure all safety measures are observed. Regardless of the project size, it is important to follow all safety guidelines, avoiding taking shortcuts along the way. Speaking of contractors, you may need to hire one for the whole project or just specific parts, such as heating and cooling or new roofing. Do not hire one on a whim, and do not choose the lowest bid without proper consideration of what the other bidders will provide. 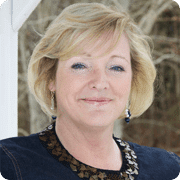 You will benefit from taking the time to get multiple bids, reading them carefully, and checking with contractors’ previous clients to make sure they were satisfied. It can also be worthwhile to check out any online reviews they may have received. As always, make sure a detailed contract is in place before any work begins. One of the most common errors in home renovation is going overboard on the design and materials. Sure, you love the new look, but if you over improve your house compared with the rest of your neighborhood, you are unlikely to be able to recoup your renovation costs when you eventually sell the house. Make sure any changes you make are in keeping with surrounding homes. It is OK to be the nicest house in the neighborhood, but you do not want to push that too far. Unless you plan to live in the home for several years, and enjoy the benefits of over-building, it is a good idea to weigh all your options, including scaling back a little if need be. Whether your project is a major renovation or you are taking on a smaller overhaul or update, there is no substitute for proper planning. In addition, buyers who are cash strapped beyond the price of purchasing a home may qualify for a HomeStyle Renovation Mortgage via Fannie Mae to help them with the renovations they may want to make to the property. Below are numerous tips to consider before starting your home renovation project to ensure the tasks do not become too daunting. Start brainstorming possible projects. Is your goal to enjoy the renovation yourself or is it an investment for a future resale? Begin saving as much as you can for the update(s). Obviously, the more you can save for the project the less you will need to get a loan for. Perform research and gather information from as many sources as you can. There is no substitute to doing your homework to find out the available options and determine what your style is. Be patient in the process. It is easy to get caught up in the excitement and push forward too quickly. This is often where avoidable mistakes occur. Create your want/need lists. New bathroom? Tile work? Update the kitchen? Re-do/replace the flooring? Painting? Maybe you are considering 2 or more updates concurrenty? Rough estimate costs based on square footage. It is a smart approach at this stage to get an idea of the possible costs you may incur. Put together a list of possible contractors you will need. Designers, installers, etc. you may need should all be considered. Start pricing the materials. Look for discounts from vendors to help keep costs manageable. Get a minimum of 3 quotes. Competition can help drive overall costs down so use it to your advantage. Discuss financing options with your bank. You need to know the limits of your spending power before commiting to any large or small project. Rethink your list, prioritizing as needed. Is something beyond the scope of your budget? Perhaps the opposite is true which means additional upgrades/updates you may not have considered are now possible. Examine the bids. Look with a critical eye. Ask for clarification on everything you do not completely understand and question any costs that seem out-of-line. Trust but verify contractor information. Check their references. Past clients will tell the tale on their performance, workmanship, and ability to minimize scope creep. Meet with specialists. If you need help with design or want to know all the key options available to you, now is the time to meet with those who have specific expertise. Determine project time-line. Know how long each phase will take and ensure your contractor is detailed on their approach with each phase. Sign contract. This is where all your prep work will pay off. Hiring the right contractor is paramount to having a successful experience and a renovation you are proud of. Identify/coordinate required permits. Ensure you get the proper permits, approvals, and sign-off once the project is complete. Skipping this step could cost you thousands in re-work. Place material orders and setup delivery. Attention to detail here will save both time and money. If your contractor obtains the materials for you, ensure the material is a quality product. Plan your living arrangements. Large renovation projects are typically noisy. Even smaller updates can become a burden so ensure you are prepared for the upheaval. Move furniture and clear space. Follow any guidance provided from your contractor so your belongings do not need to be moved twice. Follow-up on deliveries. Mistakes or oversights occur so it is key to make sure everything you expect to be delivered arrives in the condition and on the date you expect it to. Seal off closets/food cabinets to protect from dust. Home renovation projects can generate a lot of dust. To protect your clothing and perishable foods, make sure they are stored in as air-tight a space as you can provide. In some instances it may mean you need to temporarily move these items to protect them. Let the professionals do their job. You are excited about the project and may want to “get involved”. The best thing you can do is to stay out of your contractors way while they work. If you have followed the steps above, you have the right contractor for the job. While some direction may be required, micro-management is not optimal. Relax…the end result will be worth all the planning! Keep your eye on the prize and all the hard work will be worth it. Home renovation makeovers are challenging but rewarding. Having realistic expectations, planning ahead and making smart decisions are vital to the success of the undertaking. Following the tips in this article will not only aid your projects but help avoid costly home renovation mistakes too. Great details.I must share it. An ultimate list of the best real estate blogs. It will help to many others to save their time on research. I’d like to appreciate your efforts, Seth! Keep sharing this kind of stuff.